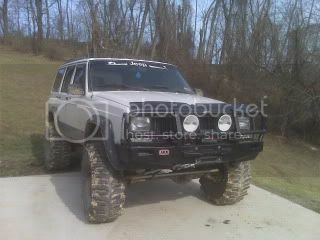 I need a longer front driveshaft on my XJ. I have a 6.5" lift with Clayton Longarms. 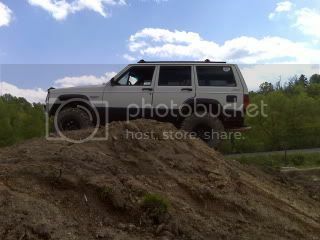 The stock shaft was extended all the way but I am going to move my axle forward about 2 more inches. I read somewhere that a front drive shaft from a ZJ will fit on an XJ and is about 3-4" longer which would be just about perfect. I'm just not sure what years and drivetrain combo to look for in a ZJ. I wanna say I read somewhere possibly a 1994-1997? I was gonna have my shaft extended but its trashed. The U-joints would fit, but I don't know if the length of the shaft is any longer. The 4.0 shaft is longer than the V8 shafts if that helps. The problem you'll run into is that a LOT of them have Rzeppa-style CV joints on one or both ends instead of U-joints. J-rod wrote: When a good driver and good spotter join up magic happens. It's ok to mix apples and oranges, so long as they're wired in series with a banana between them. Vehicle: Buggy in the making! By the time that you go to all of the trouble with finding one that might work, you could have had yours lengthened. Should only cost you around $100 or so to have it done. "Some people are like slinkies....they are good for nothing, but they still bring a smile to your face when you push them down a flight of stairs"
JeepinXJ96 wrote: I was gonna have my shaft extended but its trashed. Cowboy80CJ5 wrote: By the time that you go to all of the trouble with finding one that might work, you could have had yours lengthened. Should only cost you around $100 or so to have it done. I'm gonna have to get a new shaft regardless.. Anybody have one for sale?